When your engine cranks but won't start or run, it could mean your engine is having trouble producing a spark, getting fuel, or creating compression. The most common causes are in the ignition (for example, a bad ignition coil) or fuel system (for example, a clogged fuel filter). However, the source may also be a mechanical fault (for example, a leaking valve), or faulty components in other systems. What "crank-no-start" doesn't generally mean is a problem with the starter. If the engine cranks normally, you don't have a starting problem. If it isn't cranking right (the engine rotates slowly or doesn't rotate, or you hear weird noises or nothing when you try to start the engine), check this other practical guide to troubleshooting the starting system. Whatever you do, avoid cranking the engine repeatedly with the hope that the engine will fire up. You may drain your battery of power and damage the starter motor in the process. Instead, try to use the charge left in your battery to locate the fault. This guide will first give you six quick things you can check, and then three systems to troubleshoot—the spark, the fuel, the compression—using some simple and quick diagnostics. Then, for more help, you'll see a list of components in related systems that can be associated with a no-start condition. When trying to find out why your car doesn't want to start, keep in mind these possibilities. Fuel. For example, make sure there's actually fuel in the tank. The computer in modern vehicles monitors and controls a good number of sensors and actuators. Scan your computer memory for trouble codes before you do anything else. Even if the check engine light hasn't come on, you may find a pending code that can guide you in your diagnosis. False input or lack of input from sensors like the crankshaft position sensor (CKP) or camshaft position sensor (CPS) can prevent the engine from starting. Also, a bad throttle position sensor (TPS) may cut off the spark to the cylinders. Starting System. If the engine doesn't crank, or makes an unusual noise when cranking, you may have a starting system problem. The car's security system may have made an error that disabled the fuel or ignition system, or the chip in the key may have failed. To troubleshoot a built-in security system, consult your car owner's manual or consult with the shop that installed your alarm system. Check for a blown fuse that may be preventing a circuit from working properly, like the fuel injection or computer system. To operate efficiently, an internal combustion gasoline engine needs a good spark, the right amount of fuel, and good compression (a healthy mechanical condition). The lack of any of these three things will prevent your engine from starting. So, the next three sections will list series of steps to help you find out whether your engine is lacking adequate spark, is not getting enough fuel, or has too low compression. I. Do You Have Spark? First you want to check that a good spark is reaching the cylinders. You can do this test without a spark tester, but it's better to use one, because a weak spark as well as a missing spark can prevent your engine from starting. If possible, use an adjustable tester so that you can test for 40KV, 30KV and 10KV spark. Select an easy-to-reach spark plug and unplug the spark plug wire, or coil wire, or coil on plug (COP). Set the spark tester to 40KV, and plug it in at the end of the spark plug wire or coil wire. Hook the spark tester to engine ground. To ground the tester, use an unpainted bracket or bolt on the engine. NOTE: If you are not using a spark tester, grab the wire with a pair of insulated pliers and place the tip of the wire about half an inch form ground (engine block, bracket, cylinder head). You still need a helper to crank the engine for you. The rest of the test is the same. You'll be able to test for the presence of spark but not its strength. While watching the spark tester, have an assistant crank the engine. You should see a bright spark jumping the gap in the spark tester. If you don't see a spark, repeat the test. This time, adjust the spark tester to 30KV. If still you don't see a spark, repeat the test and set the tester to 10KV. If this time you see a spark or no spark, you have a problem in the ignition system. Consult your vehicle repair manual for your particular model for further diagnosis. Depending on your particular model, you may have a problem with an ignition coil, distributor, ignition module, igniter, or some other related component. On systems with a distributor: Check that the distributor cap isn't loose; inspect the distributor cap for moisture, cracks, carbon traces or some other damage; there could be faulty distributor components. If you haven't replaced the spark plug wires in more than three years, your wires may be worn. Also, check your car owner's manual or vehicle repair manual for the interval schedule for the spark plugs. Your may need to service (gap check and adjustment) or replace the plugs. 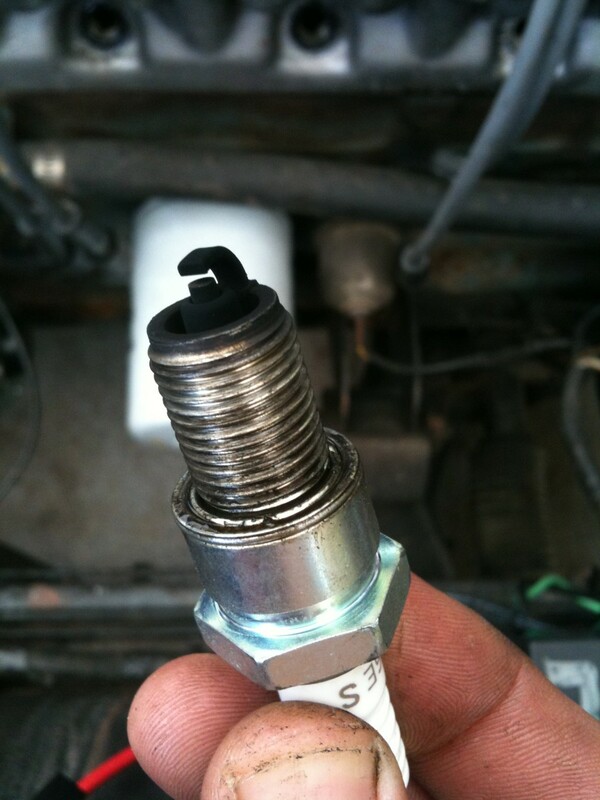 If you installed new spark plugs and your car refused to start right after, double check that you installed the correct plugs for your vehicle model, and the plugs have the correct gap. Use a wire feeler gauge to check and adjust the gap. II. Is Fuel Reaching the Cylinders? After checking for spark, you need to check that the engine is getting fuel. Take the lid off the air filter box and open the throttle plate (carburetor). On TBI systems, watch the fuel injector. Ask an assistant to crank the engine and see if fuel is being fed into the unit. the fuel injectors are not clogged. First make sure the fuel pump is working. Momentarily remove the fuel filler cap. Ask an assistant to turn the ignition key to the On position, but don't start the engine. As your assistant turns the key, listen closely through the filler neck of the fuel tank. You should hear the whirring sound of the fuel pump motor being energized for two or three seconds. If you hear the sound, at least you know the pump is getting power; continue with the next step. Otherwise, you may be dealing with a faulty fuel pump or relay, a blown fuse, an electrical open or another problem in the fuel pump circuit. Detach the air cleaner assembly from the throttle body. Open the throttle plate and spray some starting fluid into the throttle body. If the engine still doesn't seem like it wants to start, probably fuel is getting into the cylinders and your problems lies somewhere else. However, if the engine runs momentarily and dies, then the problem is that fuel is not getting to the cylinders. Check for a clogged fuel filter, or a bad fuel pressure regulator. Consult your vehicle repair manual, if necessary. If the incoming fuel line that goes to the fuel injectors has a test port (Schrader valve - a valve similar to the one on your tires), use a small screwdriver to press on the valve. Be ready with a shop rag to catch the fuel. Turn the ignition key to the On position for two or three seconds and then turn it off. Repeat the step two more times to prime the line with fuel. Then, press the valve with the screwdriver while catching the fuel with the shop rag. Fuel should squirt out through the valve. Instead, if a dribble of fuel comes out or no fuel, then check for a clogged fuel filter, a bad fuel pump or leaking fuel pressure regulator. If fuel squirts through the valve, plug a fuel pressure gauge to the test fitting valve and turn the ignition key to the On position and read the gauge. Then have an assistant crank the engine and read the gauge. Compare your gauge readings to the pressure specification listed in your vehicle repair manual. If pressure is lower than specification, your problem lies in the fuel system, possibly a faulty fuel pump, clogging fuel filter or bad fuel pressure regulator. Detach the vacuum hose from the top of the fuel pressure regulator. If the line is wet and smells to fuel, replace the fuel pressure regulator. If pressure is within specifications, you can unplug a fuel injector electrical connector and plug in a nod light to the harness connector (you may loan a set of nod lights from your local auto parts store). Ask your assistant to crank the engine, while you watch the nod light. 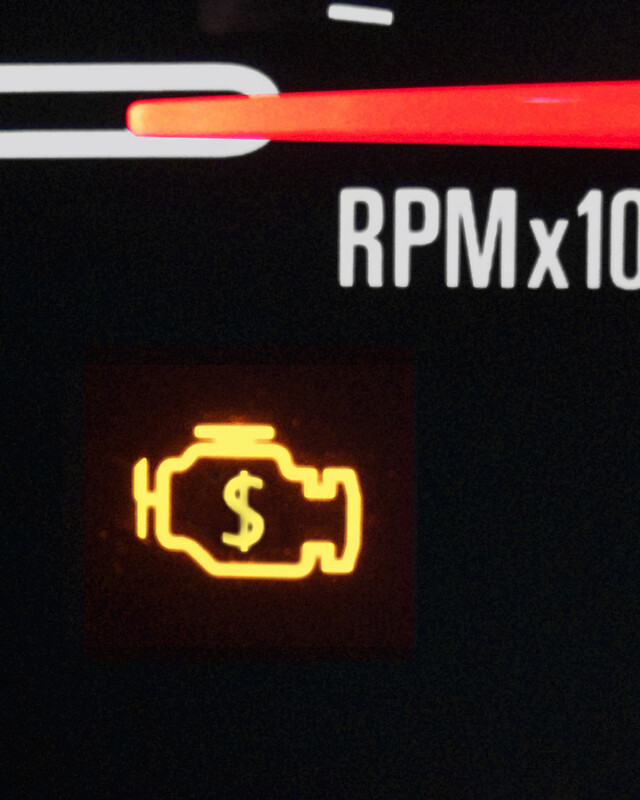 If the nod light flashes while the engine is being cranked, you can at least assume that the injectors are receiving the pulse signal from the computer. If not, you need to check for a blown fuse or bad relay in the fuel injection system, a problem with the computer control, or problems with input sensors (for example the crankshaft or camshaft position sensors). Scan your computer for trouble codes. Refer to the list of related components below. 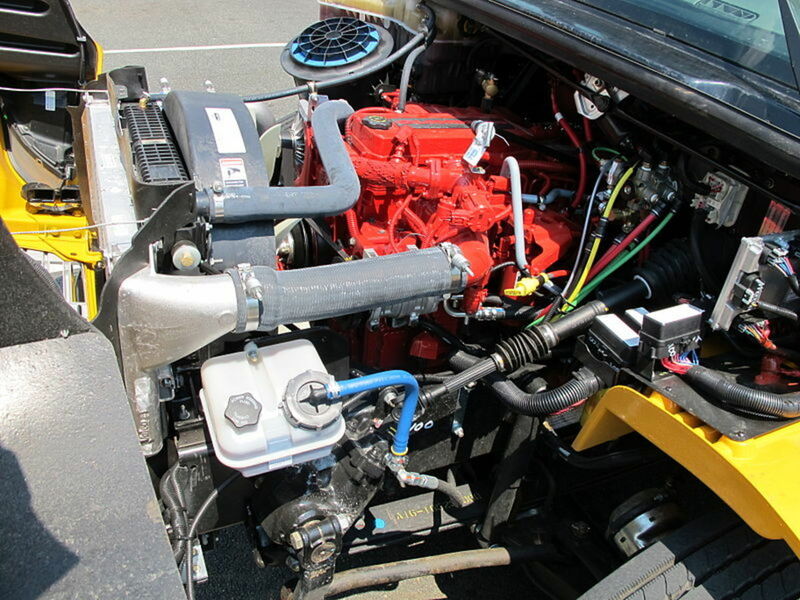 Some models, like many Ford vehicles, have a fuel pump switch (inertia switch), that automatically cuts power to the fuel pump when involved in an accident. If your engine refused to start after an accident or after a vehicle struck yours in a parking lot, check for an inertia switch. The switch helps prevent your car catching on fire if an accident occurs. Check your car owner's manual or vehicle repair manual to locate the switch. You can pop the button back in manually. III. Do You Have Proper Compression? Compression in the cylinder heats up the air-fuel mixture and helps the spark ignite the mixture so the combustion takes place. During the combustion process, though, there should be no air leaks. Otherwise, the cylinder will have poor combustion, or it will not happen. The most common source of air (combustion) leak is a jumped timing belt or chain that allows air to escape through a valve; it can also happen because of a burned valve, worn-out compression rings, or a blown head gasket. A timing belt or chain synchronizes camshaft to crankshaft rotation. After miles of service, it wears down, becomes damaged, or breaks. So car manufacturers suggest replacing a timing belt every five years. A timing chain may have a wider service schedule interval. Replacing the belt or chain at the suggested interval can prevent serious engine mechanical problems. Consult your vehicle repair manual. On some vehicle models, it is easy to remove the timing cover to check if the belt or chain is still in place. If it is, you may be able to visually inspect the belt or chain condition, and then check that it hasn't jumped. Follow the instructions in your vehicle repair manual. Likewise, you can check compression pressure using a compression gauge. If you have a gasoline engine, you screw the gauge into a spark plug hole; on diesel engines, screw the gauge in place of a glow plug or injector nozzle. Follow the instructions in your vehicle repair manual. Gasoline engine compression ranges from 130 to 180 pounds per square inch (psi); diesel engine compression may range from 250 to 400 psi. Faults in other systems, not just ignition, fuel, or compression problems, can prevent your engine from starting. A system component itself may be faulty, or there may be a problem with its wire connector or harness. You may need to expand your diagnostic procedure to the components below. Computers in modern vehicles monitor many of these components (usually in emission-related systems) and can set trouble codes when problems arise. So don't forget to scan your computer. The exhaust gas recirculation (EGR) valve introduces a measured amount of exhaust gases into the intake manifold to get re-burned. This helps lower engine temperature and harmful emissions. But the valve can fail and stick either open or closed. When the valve sticks open it may prevent your engine from starting. 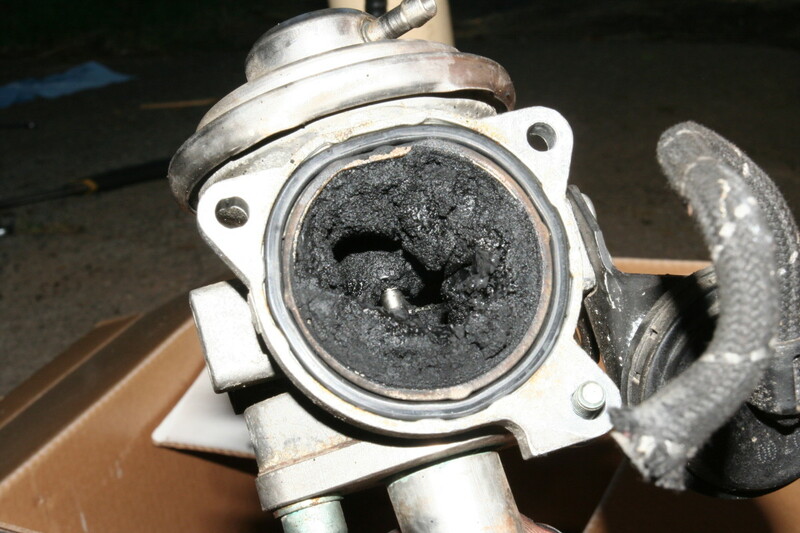 Other symptoms of a stuck-open EGR valve include rough idle and stalling. Some vehicle models use a cold-start injector. It operates as a regular injector, but only works when the engine is cold. The injector may have its own thermo switch or may be commanded by the system control module. If either the switch or the computer circuit fails, you may have a hard time starting the engine during cold months. Consult your vehicle repair manual, if necessary. The manifold absolute pressure (MAP) sensor compares the barometric (atmospheric) pressure to the intake manifold vacuum. When the sensor fails, it can prevent your engine from starting. 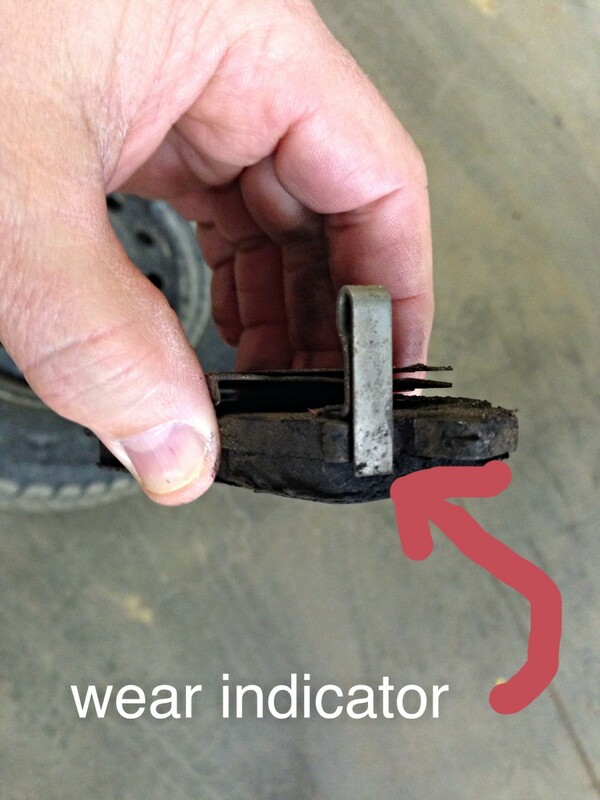 Not all vehicles use this sensor. Consult your vehicle repair manual. The mass air flow (MAF) sensor tells the computer the amount (the density) of the air entering the engine. A common MAF problem is dirt or foreign matter blocking the sensing element, preventing the sensor from working. Or the sensor itself may fail after miles of service. You can clean and test the sensor at home. 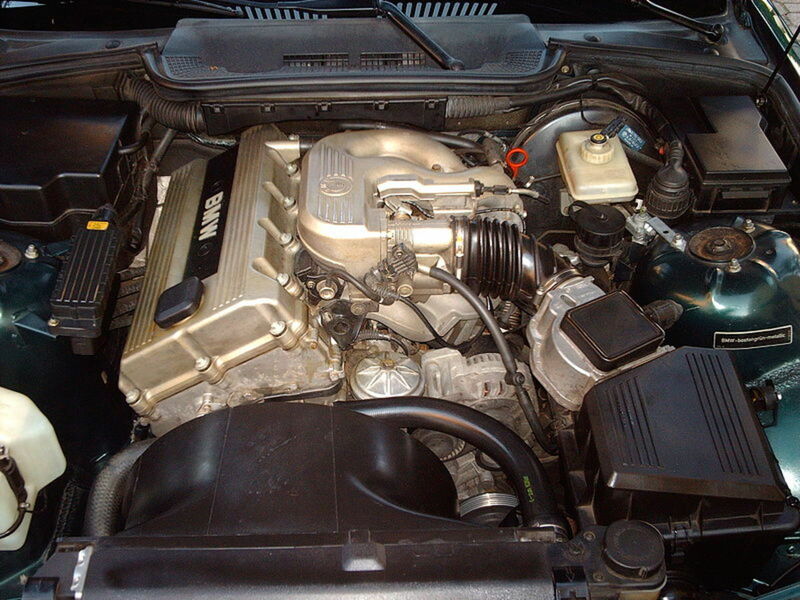 The computer uses the engine coolant temperature (ECT) sensor to know how much fuel the engine needs and when to enter closed loop operation (that is, when the engine has reached operating temperature). Depending on your particular model, a bad ECT sensor can upset ignition timing, or the operation of the transmission or cooling fan. Consult your vehicle repair manual, if necessary. The canister vent valve is part of the evaporative emissions control (EVAP) system. The EVAP system temporarily stores harmful fuel vapors into a canister to prevent their release into the atmosphere. When conditions are appropriate, the computer routes the fuel vapors out of the canister through a canister vent valve and into the intake manifold for burning. A faulty valve, though, can prevent the engine from starting. Consult your vehicle repair manual for the procedure to test the valve. The throttle position sensor (TPS) monitors the position of the throttle valve. It sends a voltage signal to the computer. 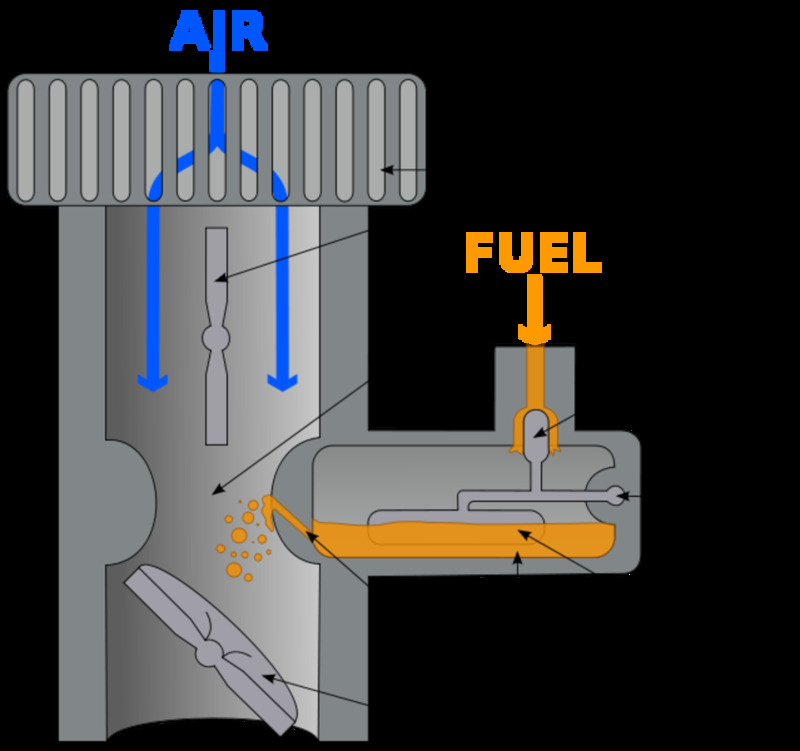 The computer uses this information to regulate the air-fuel mixture according to engine needs. On some vehicle models, a worn out, failing or bad TPS will prevent your engine from starting at all. Vacuum leaks are not uncommon, and they are the source of many engine performance problems, including fail to start. Depending on where the fault is located, vacuum leaks can be hard to find. But mayor vacuum leaks that can make the engine hard to start may happen in the power booster vacuum hose, EGR valve, another main vacuum hose or a blown head or intake manifold gasket. If you have an old vehicle model with a carburetor, double check that the fuel level is properly adjusted. 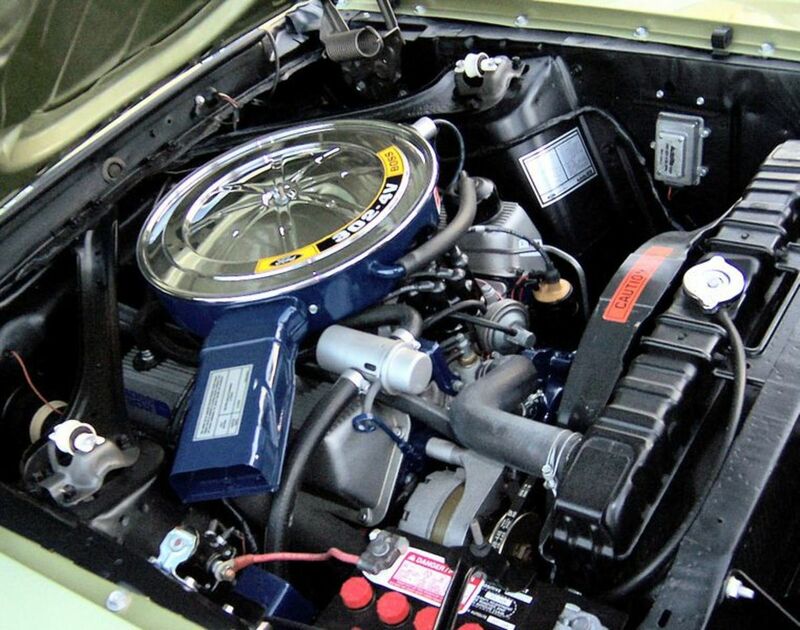 If the carburetor is flooded, you'll probably perceive a strong fuel odor under the hood. A little trick you can use is to fully depress the accelerator and try to start the engine. If the engine doesn't start, wait for a few minutes and try again. When your engine cranks but fails to start, it can be difficult to fix if you don't know where to begin troubleshooting. This guide not only tells you where to start but helps you build your diagnostic strategy. And reminds you of some simple but easy to forget places to look into. So most of the time, using just this guide you'll be able to zero in on the problem. My 2002 Honda Civic LX cranks but won't start. I tried using engine starter fluid and still got nothing. What may be the issue ? First, make sure you got the correct fuel pressure and good spark. These are the most common issues. I just changed fuel injectors on my 1991 300ZX twin turbo. Before the shop changed them, the car was able to start, but it ran rough due to three injectors not working. Now the car just turns but doesn’t start. What could be the most likely culprit? Check for DTCs first. If you don't find any, is there an anti-theft system that needs to be reset? Check the fuel (pressure), ignition (spark), and check that there are no restrictions against the turbo (intake and exhaust system). These the most common trouble areas. I Have an Audi a3 2010, the cams and crank are turning over but the vehicle is not starting. Could this be the engine timing or does it need a compression test? Make sure you have good spark and fuel pressure, then check for compression and timing. My Toyota Mark ll engine cranks but won't turn over. What would be the main cause of this? If the engine cranks, it turns over. If you mean the engine cranks but won’t start, then follow the diagnostic procedure in the post. The fuel and ignition system are the most common issues. My 2013 Hyundai Elantra cranks, but sounds like it's flooded. What can this be? Check the fuel pressure. If the regulator failed, it can flood the engine or starve it from fuel. If you haven't changed the fuel filter, it might be clogged. My CA18 engine is getting a spark, sufficient current, compression, and all fuses are good, but it still won't start. What is the problem? If it cranks good, check for fuel pressure. There could be a problem in pressure or fuel volume. My Ford Focus 2009 cranks for a while, eventually starts, then idles normally and runs fine. What's causing the long cranking? 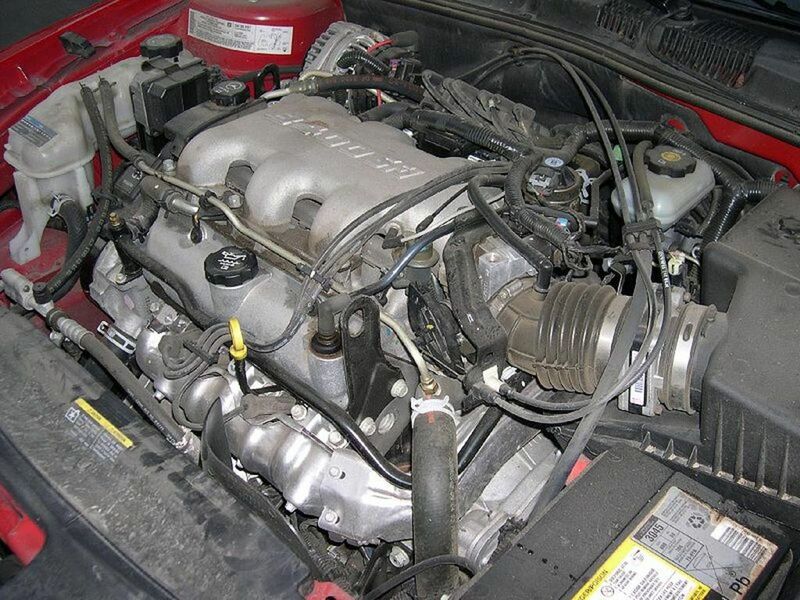 Usually, an engine takes longer to start because of an aging or failing battery, starter, or spark plugs. Batteries may last between three to five years. A starter's lifetime service requirements are hard to predict. Check the spark plug gap, and the condition of the electrodes then follow the manufacturer service recommendation on them. I would like to know what to do if my car cranks but does not start? Make sure you are getting enough fuel pressure. And check the injectors for the command pulse from the computer. I have a 2012 Chevy Malibu that won't start, but it does turn over. All the lights and everything works, but it just won't start. Do u have any clue what can be the problem? Check the battery has enough power and fuel pressure is correct. My truck cranks but won't start. It has fuel pressure and spark, and I even recently changed the cap and rotor. What else could it be? Check for compression. That's the next step, if you know you have enough fuel pressure and a healthy spark. I drove my car to pick up food. Ran fine. Turned it off and went inside. When I came back out it would crank but refused to start. Have replaced spark plugs, ignition coils and the fuel pump. Ordered a scanner last night that should be there when i get off work today. So no codes at this moment. Any ideas just on what I’ve explained? The most common faults are in the ignition and fuel systems. First, you need to make sure you have good spark, correct fuel pressure. Also, the problem could be with a sensor: crankshaft position sensor, camshaft position sensor, throttle position sensor. Hopefully you’ll get a diagnostic trouble code that can tell you which system has failed. Still, troubleshoot the system before replacing any parts. Hope this helps. 1998 GMC Safari cranks but does not start. What should I check for? Check fuel pressure and for good spark. Make sure the battery is fully charged. I have a 94 Izuzu rodeo that won't start but turns over. I've noticed that the fuel and oil gauge doesn't move and the air conditioning doesn't come on when the key is turned to start it. But the other gauges work and the radio works. Do you have any clue what this could be? Make sure you're getting spark and fuel. Check to see if there are any trouble codes you can download from the computer. Also, check for fuel pressure and compression. I am in Melbourne Australia. 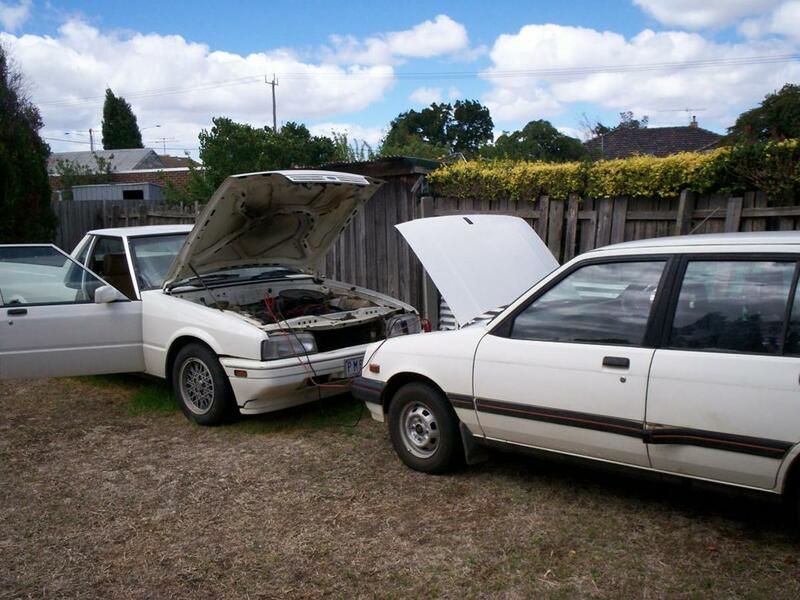 I have a 1986 Holden Gemini. Its a small car with a 1.5 liter 4 cylinder engine. When I turn the key to Start, the engine cranks but will not fire. But when I turn key from 'on' back to 'off' I hear a click in the distributor cap and what sounds like a power stroke occurring in one cylinder. The coil seems OK. But spark plugs don't spark when the engine turned over. Could my problem be an ignition switch issue? Make sure the ignition coil is firing properly, and check the distributor cap for carbon traces and cracks, and the ignition module. Some auto parts stores test the ignition module for you. There could be a problem. My 2007 Nissan Frontier cranks but dose not start. I've replaced the crankshaft sensor, spark plugs and throttle body. Still no start. I received trouble codes P0725 and P1705. What can this be? I have a 1992 Subaru Legacy wagon, and my vehicle cranks over but won't start. I've replaced the temp sensor, crank sensor, fuel pump and strainer, coil, spark plugs, and battery. Still, it won't start. I've checked compression and fuel. Everything checks out. What could it be? Make sure to check for trouble codes using a code reader. If engine compression and fuel pressure and volume check out, test the spark using an adjustable spark plug tester. Minimum, you should get around 30K V. Check the specs for your model in the vehicle repair manual. Have a 350 Chevy, all ready to start, but gas isn't getting to the plugs. What can be the problem? I have changed the fuel pump, crankshaft position sensor, camshaft sensor, mass air flow sensor and my Volvo still doesn’t want to start. Can you help? I have an 06 Dodge Durango that won't start. It gets stuck in the crank and the power light comes on, then the service engine light. Any idea what would cause that? Several issues can cause the a crank-no start condition, but if the engine light is coming on, check for trouble codes first - if you don't have a scanner, see if your local auto parts loans you one. Usually, problems with the ignition, fuel systems may prevent an engine from starting. On some models, a low engine pressure will prevent the engine from starting. A bad crankshaft or camshaft position sensor can also cause this. What’s wrong with my 2003 Chevy? It rolls over but won't start. It gets gas to the carburetor but won't start. Check that you have good spark and fuel pressure. There may be gas going to the engine. But without correct pressure, the engine will have difficulty starting or not start at all. These two are the most common problems. I have a Honda van. It cranks but won’t start. Is it a sensor? Sometimes a bad crankshaft or camshaft sensor can prevent the engine from starting, but make sure you have spark and good fuel compression. After charging my battery on my MK3 VW Golf, the car cranks but the engine does not start. While the battery was flat I needed to open the car to release the bonnet hatch and to do this I used a screwdriver to unlock the driver's door. Could this have affected the immobilizer? 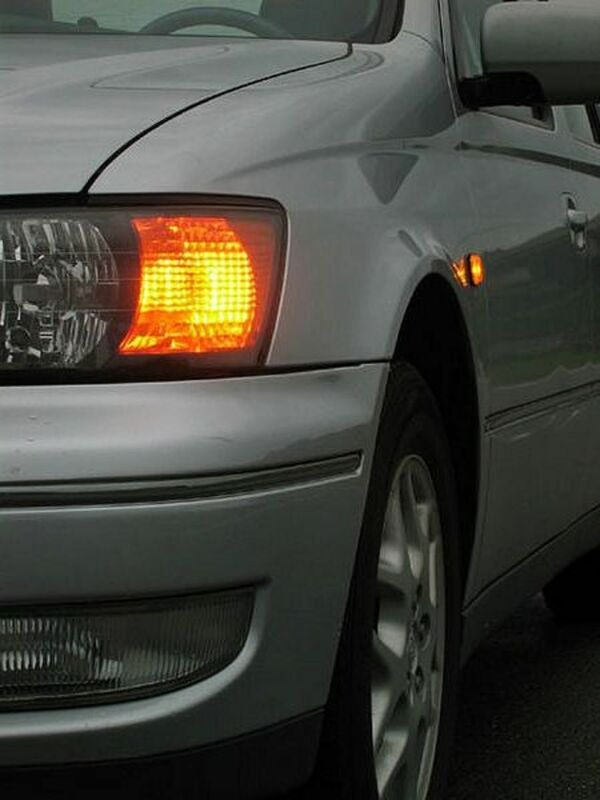 If you have a hall effect sensor, you may be able to test it with a test light. Otherwise, you'll need other expensive equipment without a multimeter. Check your repair manual; it might give you the procedure. We have just changed an in-tank fuel pump on our 2014 VW Golf 1.6. and checked all fuses but it seems no power is going to the pump. What could be the problem? My 98 Chevy Cheyenne 2500 won't start but turns over, had the battery checked, previously had fuel changed twice, water recently along with belt and thermostat and ignition control module. Could my problems be the starter? If the engine turns over without as it should, then the problem may be in the ignition or fuel system. Check the spark and fuel pressure first. My Toyota 1KD engine cranks but it can't start. What could be the problem? Follow the steps in the first section in the post to get an idea what system is causing the problem first (ignition, fuel, compression). Then take it from there. My 1986 Grand Wagoneer (360 V8) was running, but wouldn't turn off with the key. I decided to replace the column mounted ignition switch. It really wants to start in just a turn of the key, but doesn't actually run. It seems to be getting fuel. What did I do? It was starting right up right before I "fixed it." You need to check that the spark is getting to the cylinders. Also, make sure there's good fuel pressure. These are the two most common area problems. If you haven't changed the timing chain, it's probably worn, and timing is off, although this is not as common. But this is an '86, so have it check as well, if necessary. I have a 1991 Nissan 300zx. It shut off while I was driving, and it won’t start. It was leaking water beforehand. I made frequent stops to refill it, but it cut off and now that it’s back it will not turn over. It doesn’t leak anything until I crank it, and it’s the fuel I believe, but it’s black in color. I have no idea what it could be. What should I do? From your description, there might be an oil leak. Check the oil level. You need to locate the source of the leak. Take a look under the car and see if you can see traces of the leak around the oil pan or engine. I have to keep bumping my starter for 2 - 4 minutes on my 1996 GMC Sierra 350 Vortec to get it to start, but it will stall when I try to go. What might be the problem? I have a 2003 Chrysler Town and Country that will crank but it won't turn over. I have already changed out the battery and fuel pump. How can I diagnose the problem with my Chrysler? Make sure you have good spark and good fuel pressure when cranking. If both check out OK, test the compression. My 1995 GMC Yukon won’t start after I rebuilt the TBI. Could it be flooded? My husband's 94 Chevy 1500 pickup truck won't start. He put in a new fuel pump, relay, regulator, coil, fuel filters and PCV valve. It still won't start. What else could it be? If the engine cranks in the usual way, check for fuel pressure and make sure you have a good spark; if it doesn't sound like a normal crank, then check the starter motor and the circuit. Make sure there's good battery power reaching the starter. I have a 1995 BMW 740 that wont start. If I put starting fluid in the intake, it tries to start. If I bypass fuel relay, it comes on, but not with key. It cranks but will not start. What could be the problem? I used starting fluid and my car turned on for a few seconds then shuts off. What can be the problem? Check for fuel pressure. It seems (enough or no) fuel is not getting to the cylinders. I have a 1998 Chevy 1998 K2500 4x4 truck. I've replaced plugs, plug wires, distributor and new battery, fuel filters, fresh fuel. Fuel pressure checks out. Engine cranks but won't start until the whine of fuel pump slightly changes tone. Then it will start on next attempt. Do you think its the fuel pump, even though pressure checks out OK? Spray some starting fluid in the throttle body and try starting the engine. If it catches for a second or two, then there could be a problem with the fuel pump. I have a 2002 Dodge Neon, and it cranks. It wants to start, but then it ends up cranking again, and does the same thing. What could be the problem? My 2004 Jeep Grand Cherokee cranks, but doesn't start. There is no fuel pressure and no spark. I have a code for the cam sensor but the sensor is fine. I checked/cleaned all the grounds. None of the fuses appear to be blown. Is there any other direction you can give me to help me solve my car trouble? The PCM is probably not receiving the signal from the sensor - there could be a problem in the circuit. Check the wires and connectors. My 2008 Ford Escape will crank, but won't start. The fuel pump sounds like it's working fine. What could be the problem? Check for fuel pressure and spark first. Don't replace any components yet. I have a 2007 BMW 525i crank, but it won't start, and the fuel reservoir light comes on. Can you tell me what might be the problem? Check to see if there's enough system pressure. There might be a problem with the fuel pump or fuel pressure regulator. MY 2002 v40 Volvo has high pressure on both oil and water. I changed the PCV oil trap but the vehicle still won't start, what it can be? First, make sure you have spark and fuel pressure. And take it from there. Good voltage at the starter relay and engine grounds. Does an Isuzu kb 240 have a computer box? If there is, where is it mounted? Look at the firewall or under the dash, probably labeled 'diagnostics'. My 1978 Toyota Land Cruiser series cranks but won't start. What could the problem be? Check the ignition spark and fuel pressure first. I have a 98 Chevy Blazer. I have a new battery, new plugs, new wires, new fuel filter and it still won't start when it's cold. Once it runs, then it's good. But after about 8 hours, it is really hard to start again. Why would my Chevy Blazer have trouble starting? Also, keep in mind that when cold, the fuel doesn’t evaporate as easily, and the oil tends to be thicker. This makes it harder to start the engine. And, an old engine won’t have as good compression as a newer model, which compounds the problem. I’m using a Toyota Brevis 1JZ engine. It’s been diagnosed several times, and it was reporting throttle motor malfunction. I changed the throttle body. It starts one time and then fails then it keeps on cranking. You change the throttle body, it repeats the same process. The spark and compression is there. What could be the problem? Check the electrical connectors for the throttle control system. Other possibility is a problem with the throttle control system actuator, or the harness (open or short). Hope I could be of more help. My 2000 Pontiac Firebird Formula cranks but won't start. Can a OBD code reader help solve this problem? My 1986 Buick Century died on me when pulling into my driveway. It was in park when ot suddenly shut off. Now it won’t start. It only cranks. I’ve replaced the coil pack, what else could possibly be the problem? Also, check the throttle position sensor. I have a 2001 Mazda Millenia. It cranks but won’t start. It had a tune up in June. Do you have any ideas? There could be a problem with the ignition (no spark) or fuel system (poor pressure). Go over the post. You should get some ideas about what kind of issues there might be. Sometimes, something as simple as a change of an old fuel filter could fix the problem. My Toyota FT86 engine not starting. I have replaced the ECT sensor and removed the intake manifold fold and reinstalled it. After that, the engine will not start. What's happened? 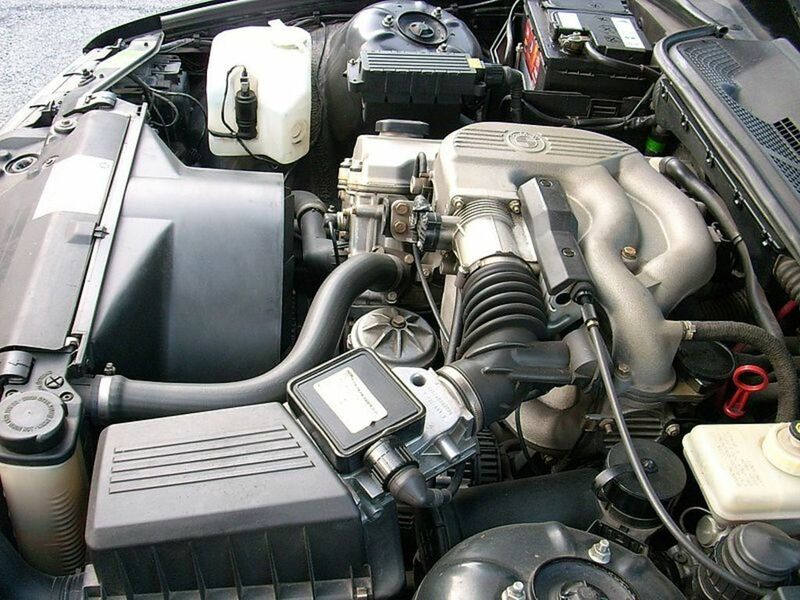 If the engine refuses to start after replacing the ECT and reinstalling the intake manifold, check that you didn’t forget to reconnect a sensor, vacuum hose, or an electrical connector. Also, make sure there are no vacuum leaks. Intake manifold should be torqued to specs. My 2006 Honda Accord is struggling to start. It starts but only after I really press on gas hard. Does that mean the pump and relay are still working? What else could be wrong? Check fuel pressure when turning the key On and when trying to start the engine. Check pressure specs with your repair manual. My 2006 Honda Accord has a hard time starting. I have to really press on the gas hard to get it to start. What could be the problem? There could be a problem in the fuel system; check for fuel pressure when trying to start. You may have good spark if you're able to run the car once it starts, but the pump may be weak or worn as well. My 1999 Kia Sephia cranks but won't start. What could the issue be? Check the spark and fuel pressure first. Then check compression if everything else is seems fine. I have a 2012 Chevy Impala. We just changed the rack and pinion, power steering pump and a hose. It started and ran fine for a few hours but now it will turn over but not start. We changed spark plugs today but it still won't start. Any ideas on what the problem could be? Perform the quick checks in the first section of the post. Then, as necessary, go over the next sections. If you are getting good spark, you might want to check the fuel pressure. A fuel filter is a possibility if you haven't replaced it in more than a year or two. If your ignition key is getting stuck, make sure your battery is fully charged and check the wheel lock cylinder. I have a 2002 Honda Accord se 2.3L. One morning woke up wouldn’t enter start. Checked timing. Fine. Valve cover gasket and tube seals fine. New spark plugs. Magically got it to star once. Drove it. Idling rough, driving rough. Checked compression in all cylinders.fine. Cleaned contacts on Distributor cap. New spark wires. Currently looking at fuel filter, but it seems fine. Before this incident I replaced catalytic converter and it ran the best since I’ve owned the car. I’m truly stumped? Anyone welcome to take a stab. Try rotating the engine manually using a socket, ratchet extension and a breaker bar. Set the transmission to neutral. If it is too tight, try removing the spark plugs, if it still too tight, theres something wrong in the assembly. If it turns without much effort, check for a good spark and fuel pressure. Check all the fuses; there could be another blown fuse. Then make sure you got spark, and fuel pressure. These are the most common reasons for a crank-no start issues. If it doesn't crank, check the starter relay and connections to the starter motor and battery terminals. Make sure the battery is fully charged. 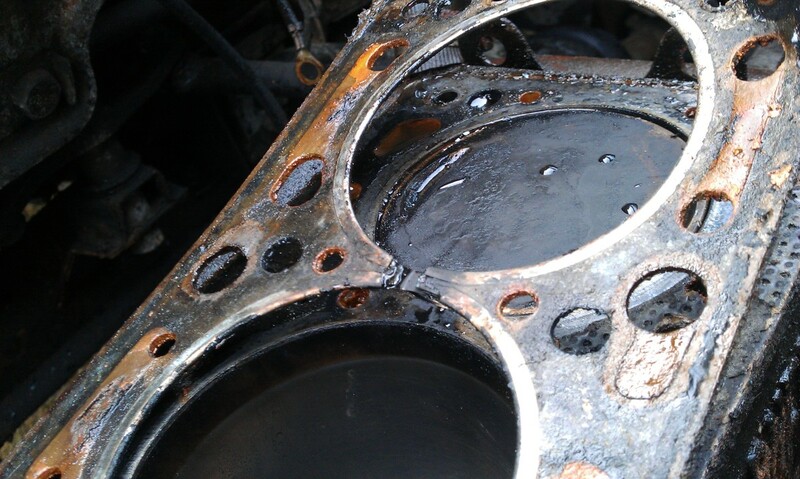 If this is a rebuilt engine, you may need a new starter motor. But you may want to make sure you got a good spark, and fuel compression. My car just got an engine install . But it cranks but dosent start. I have a 1996 Mitsubishi Montero that has been having issues, it will start but sputters out when I press the gas if I left off the gas it seems to pick up power for a couple seconds then stalls out again, after 10 or 15 minutes of this I can finally get her to move and she seems to do fine, till she has say for awhile then same deal all over again, I've checked the throttle body, air filter and changed the fuel pump and fuel strainer, I got in her this morning she started right up...... for about 30 seconds then stalled now she will not start at all. I've tried starting her while pumping the gas but no help, I don't even smell fuel at all. Any ideas where else to check? I've also checked the spark plugs and wires and they are all nice and silver with no signs of fouling. The problem could be in the sensor's circuit. Check the wires and connectors. You want to clear the codes as well and see if the code shows up again. On some models, the crankshaft sensor's gap is adjustable. You can also check sensor operation with an AC voltmeter for the signal. You may need your vehicle repair manual to check this. Make sure you got good fuel pressure and good spark. Seems like a fuel system problem. Check if the fuel pump is pressurising the system when you turn the key to the On position. If you check pressure and it came OK, and if the fuel pump relay checked OK, then try this. Turn the igniton key to ON so the lights on the board come on and then turn it off -- repeat the cycle about 6 times and see if the engine starts. If it does check the drain-back valve. 1999 Dodge Ram 1500 5.9 cranks but no start. Spray starter fluid and runs fine, if I shut it off you won’t start again. Changed cap and rotor, right fuel pressure, ignition coil is getting power all fuses are good and relays, new battery and alternator. Spark plugs and wires wehere changed about 4000 miles ago. Would the wires to the remote starter if there were loose connecting cause it not to start? Make sure you're getting good fuel pressure - check the gauge results with specs in the repair manual. Also, check the compression. Hi. I have a car Kia sephia 1999 model and a Fuel Injected (FI) car. It cranks but it wont start. We've already checked the spark plugs and replaced it with new one. Replaced fuel pump, charged the battery, buys new fuel filter and air filter, the starter was okay, and its alternator was all fine. I don't know what to do to my car. My head hurts. This is usually a fuel system symptom. Check fuel pressure. A common fault is an O-ring in the fuel pressure regulator. On some models it's kind of difficult to reach but not impossible. You may need your repair manual to check specs, if necessary. Check the fuel injectors and pressure fuel pumps as well. Check the starting circuit connections and have the starter check. A solenoid can wear out, pit, and collect carbon residue and prevent full current from operating the starter. I have a 2007 Pacifica w/ 4L engine w/ 120K miles. I have a brand new full strength battery and the car almost didn't start. There are no unusual sounds that might indicate a starter problem. Also, I have no other signs like check engine light, poor acceleration, rough idling, or lower gas mileage. Any ideas what might be the problem? Check the ignition coil(s) and modules. If there's no spark at all, there might be the fault. Check for spark first and than check fuel pressure. You can find the specs for your model in your vehicle repair manual. No fuel no spark ??? It won't hurt your engine, but probably you'll need to take care of some items sooner than later, probably the air filter. Usually these scoops have some way to drain water to keep it out of the engine as much as possible.